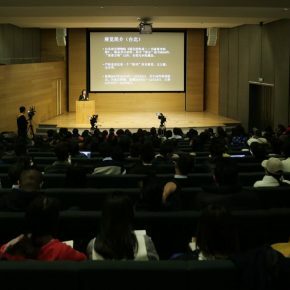 Recently, two exhibitions of “National Treasure” were held in the National Palace Museum in Taipei and Kyoto National Museum in Japan, attracting crowds of spectators. However, most of these National Treasures are old and with time their framing conditions have changed. The authenticity or dating of the paintings, calligraphy, seals and inscriptions are controversial, how to understand these controversial “National Treasures”? 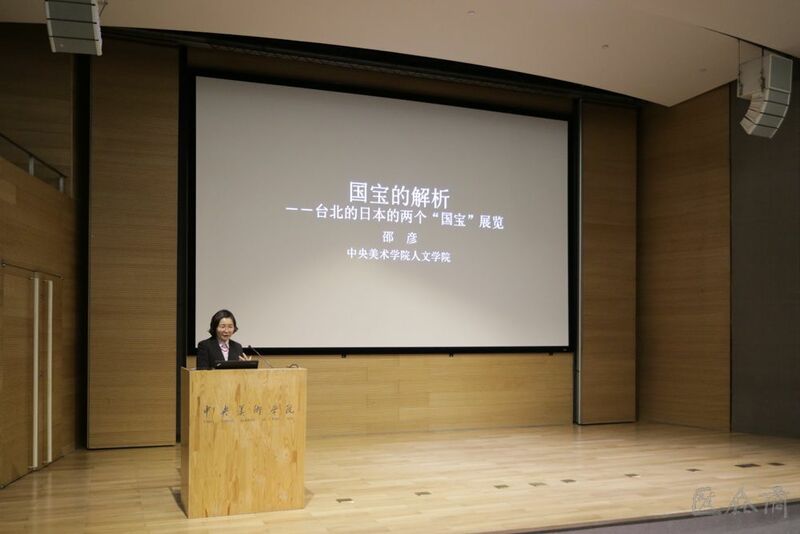 On the evening of December 5, 2017, the lecture of “Analysis of National Treasures – A Brief Introduction to the Two Exhibitions of ‘National Treasures’ in Taipei and Kyoto” was held in the Auditorium of the CAFA Art Museum. 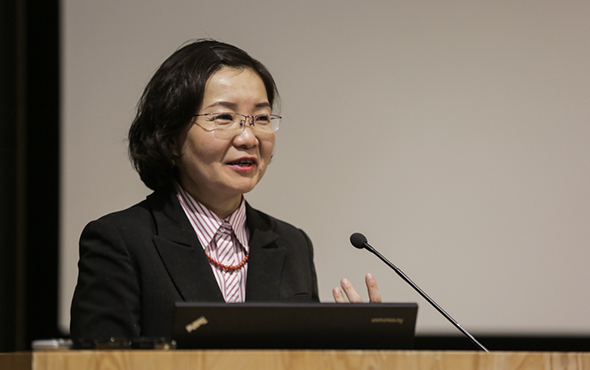 The speaker Dr. Shao Yan, Associate Professor from the School of Humanities, CAFA, an expert in the history of Chinese Calligraphy & Painting and the identification of Chinese painting & calligraphy, used her own rich research experiences and professional viewing skills to analyze the calligraphy and paintings on show at the exhibition, she reported on the live experience of viewing paintings and gave her position on art history and aesthetic evaluation. What is the “National Treasure”? “National Treasure” was diverted early on from the Japanese rating system of heritage. In Taiwan, it is divided into three categories: “National Treasure”, “Important Antiques” and “General Antiques” depending on the artistic level of the “antique” that corresponds to the “first-rate product”, “second-rate product”, and “third-rate product” in Mainland China. 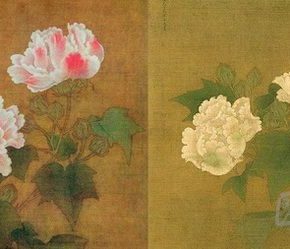 “The making of a National Treasure: Selected Masterpieces of Painting and Calligraphy in the Museum Collection” displays the purpose and achievements of the rating system of the National Palace Museum in Taipei. 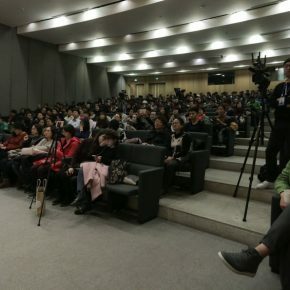 The special exhibition features a total of 45 special pieces, including 34 pieces of Chinese painting and calligraphy entitled the “National Treasures”, and 11 important antiques, which are all well-known. It started on October 4, going through to December 25, and the first phase of works were replaced on the evening of November 14. 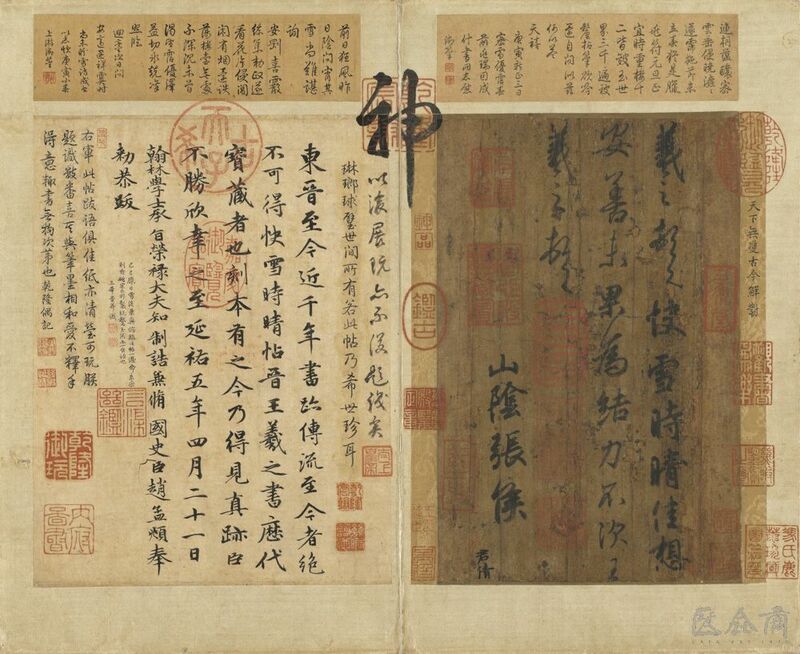 The most famous one and the first piece of the “exhibits list” is Wang Xizhi’s letter of “Timely Clearing After Snowfall”, which was converted into a folded album by Qianlong’s court, and Qianlong & his courtiers repeatedly drew Chinese paintings and calligraphiy on the letter. It is presented as complete at the exhibition. 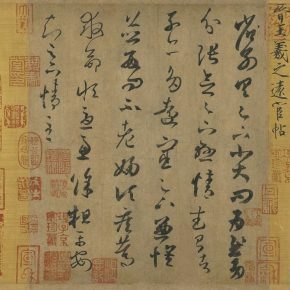 The wrapping was inscribed Liang Shizheng’s calligraphy and Dong Bangda’s painting, in the two ends of the album there are “Clearing Snowing” and “Snow Plum” respectively created by Dong Bangda and Zhang Ruoai in the order of Emperor Qianlong, as well as three postscripts including Zhao Mengfu’s piece, in addition to the painting of “Wang Xizhi Loves Geese” declared to be created by Emperor Qianlong, but Shao Yan doubted it and considered it as a piece created by a general imperial painter who was poorer than Dong Bangda and better than Emperor Qianlong in painting skill. 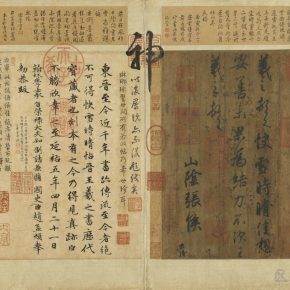 This copybook for calligraphy was not personally created by Wang Xizhi, but a copy made by outlining and coloring in the Tang Dynasty. 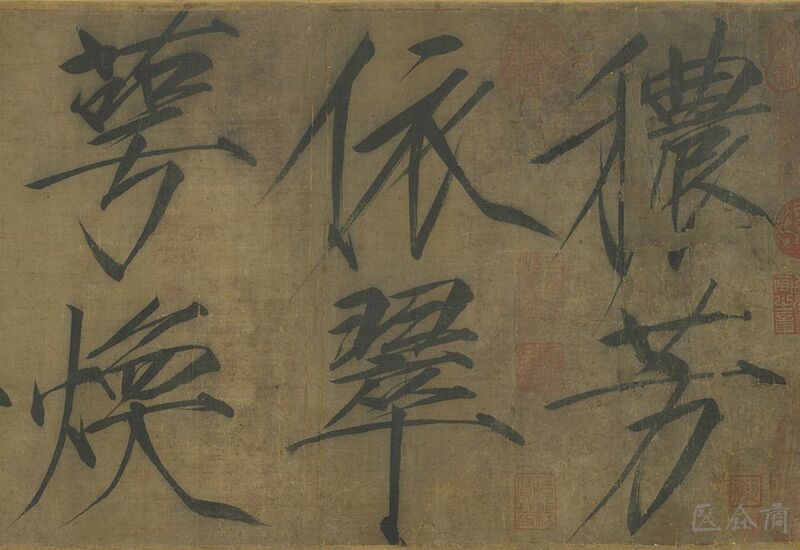 “P’ing-an” by Wang Xizhi in the collection of the National Palace Museum in Taipei was also made by outlining, but its strokes were tight and heavy, with diverse lines. 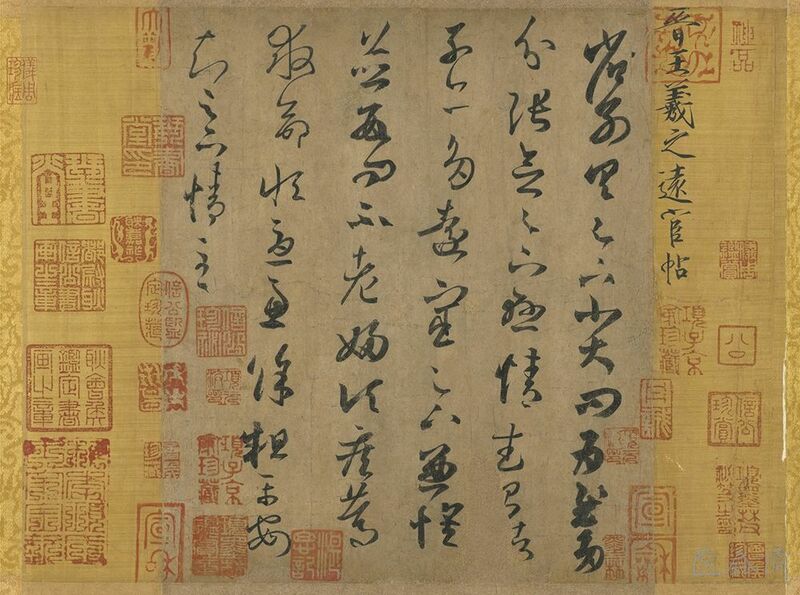 Emperor Qianlong was fond of this copybook, where he has made more than 70 inscriptions. After replacing the works, it features the cursive “Yuanhuan” made by outlining, which is of an high quality. 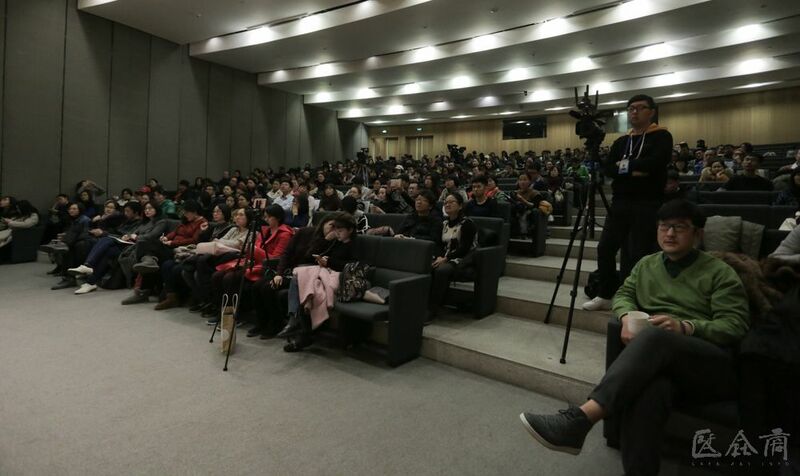 Shao Yan introduced the imperial art of the Emperor Huizong, leading the audience to appreciate the art of calligraphy and tasting the era of works. 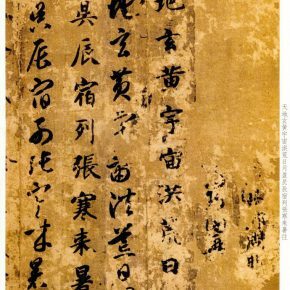 Emperor Huizong’s “Poem” is also known as “Nongfang Poem”, which is a scroll with a total of 40 words arranged in two rows, and the diameter of each word is four inches. It used the style of cursive handwriting to write regular script, and the turns and terminals were exaggeratedly handled, showing the shocking imposing manner of the emperor. 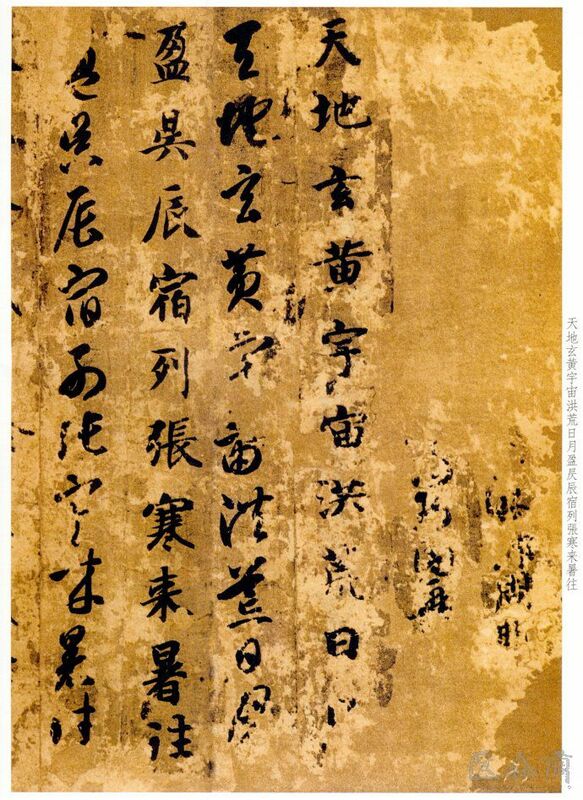 But Shao Yan said that the inscription of “Made in Xuanhe Temple” was counterfeit, because she has seen the original piece and found it was originally written on the framed piece, which was then taken down, so the marginal inscriptions were skew. 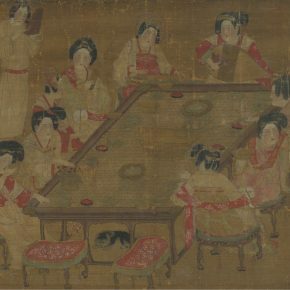 She also doubted that “Literary Gathering” was not created by Emperor Huizong, whose monogram’s strokes were uncertain and weak. 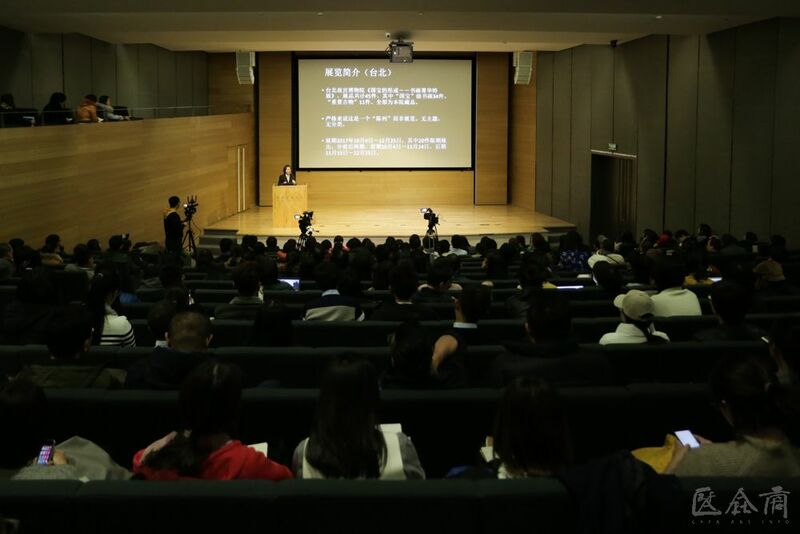 In addition, poems by Huizong and Cai Jing were different from the other authentic pieces in terms of quality and style of writing. 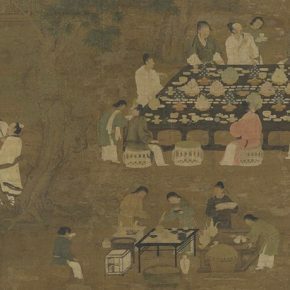 In terms of details, the black lacquer table located in the middle of the screen was similar to the table used for the Qi Qiao Festival of the “Palace Feast (Qi Qiao)” collected by the Metropolitan Museum of Art, heating wine was a process of the Song Dynasty, while the metal flagon was directly placed in the carbon basin which was an approach of the Ming Dynasty, so that Shao Yan’s inference was the use of the details of the Song Dynasty to piece together a pseudo one in the Ming Dynasty. 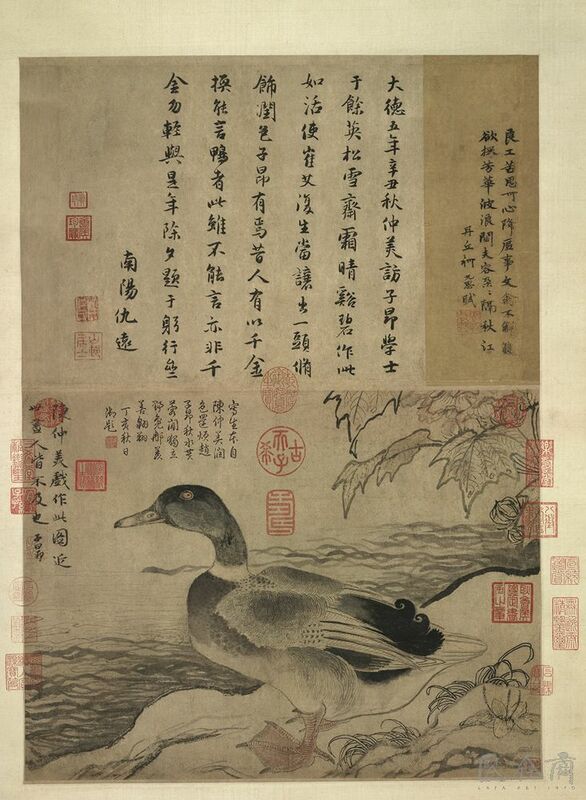 “Pair of Wild Geese on an Autumn Islet” is a double-splicing screen, depicting a pair of geese which are as big as real geese, the use of simple strokes to portray the waterfront stones, and the details of the broken ends of lotus leaves were carefully demonstrated, and it was in line with the documented history of painting characteristics in Huizong’s painting. 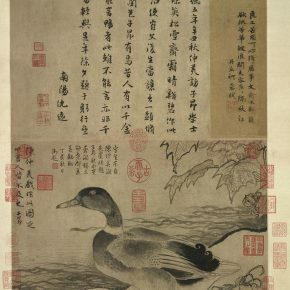 For another interesting piece entitled “A Wild Duck by a River”, Shao Yan found that the wild duck portrayed by Chen Lin was similar with the goose in Huizong’s painting, Zhao Mengfu, through the use of flat brush, was able to create waterfront stones and water to enlarge the sense of writing of lines of Chen Lin’s painting, and weakened the pursuit of realism, so that Chen Lin entered the field of literati painting. 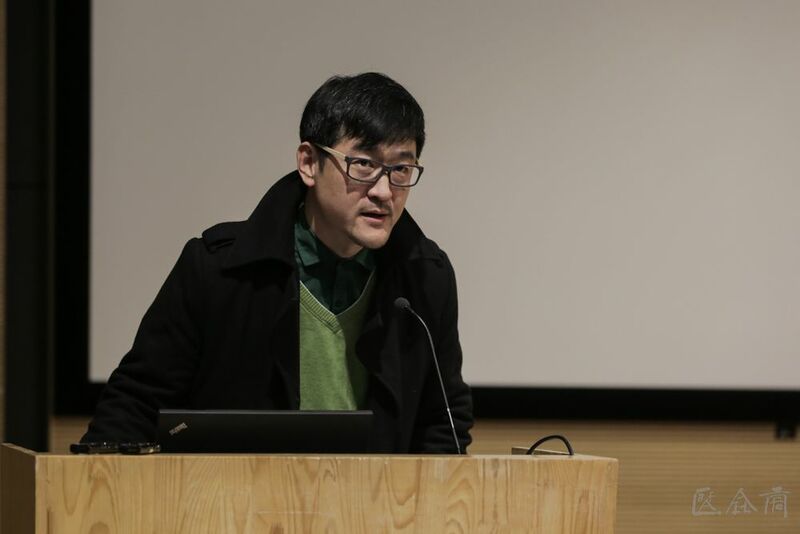 And then Shao Yan also made a wonderful analysis of “animal painting”, such as “Herd of Deer in an Autumnal Grove” of the Five Dynasties period, “Pasturing Horses” by Han Gan of the Tang Dynasty, and Zhao Yong’s “Man and Horse”. 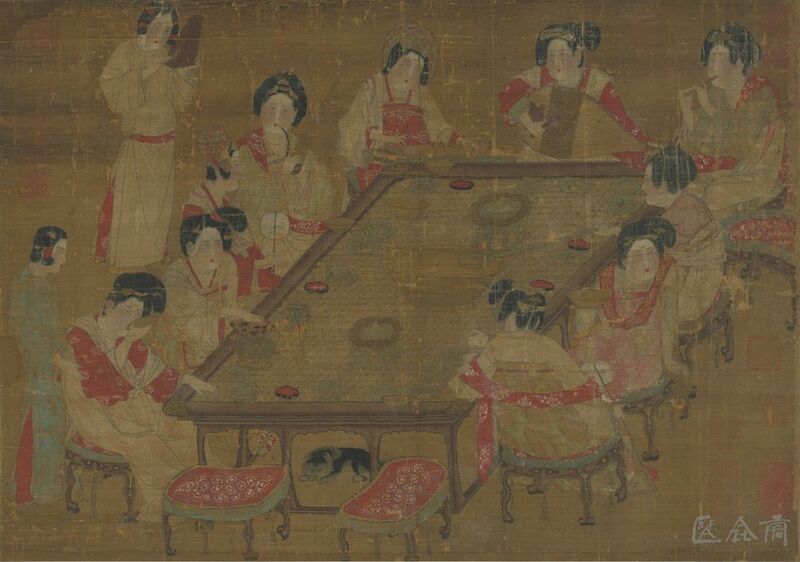 Shao Yan doubted “A Place Concert” of the Tang Dynasty, although it portrayed Zhou Fang-style “flat beauties”, the lines were stiff and flat, especially as the hands were drawn to appear slender, while the frames of the table and chairs were graphical lines which did not reflect the thickness, and the tortoise shell ceramic and other details showed that this painting was a copy. 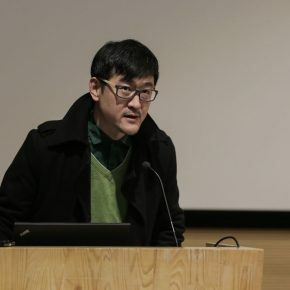 Shao Yan speculated that the base might belong to Zhou Fang School of the late Tang dynasty, and the replica belonged to the Southern Song dynasty. Shao Yan took “Kuan-yin of a Thousand Arms and Eyes” of the Song dynasty as an example to tell people how to view Buddhist paintings, and she believed that it was produced in Xixia or Jin area, in the period of the Song dynasty. 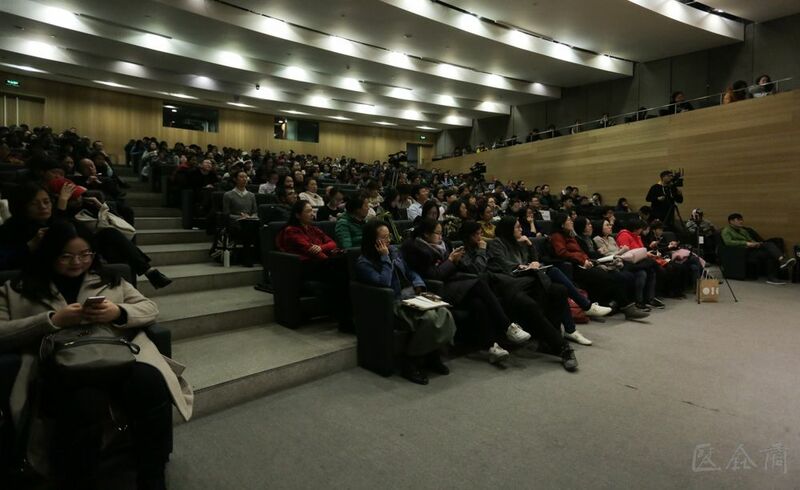 Then, Shao Yan interpreted “The Buddha Preaching the Law” of Song dynasty and “Pair of Lohan Paintings” of Yuan dynasty. The “Crossing a Bridge over a Stream” by Dai Jin, a painter from Zhejiang school in the Ming Dynasty, portrayed two literati who rode donkeys crossing a bridge over a stream. 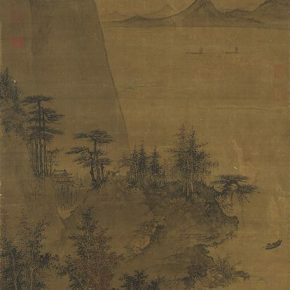 The whole screen is a typical composition of Southern Song with the main body being located in one corner, with the main peak also revealing the legacy of the Northern Song dynasty, showing the imperial painting of the Ming dynasty that blended the painting characteristics of the Southern Song and Northern Song. 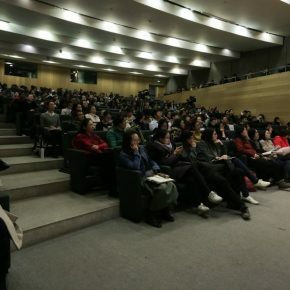 Shao Yan also proposed her views of the landscapes including Gao Kegong’s “Cloud-girdled Peaks”, Wang Yuan’s “Meeting Friends in a Pavilion among Pines”, Wang Meng’s “Forest Chamber Grotto at Chu-chu’u” of the Yuan dynasty, Tang Yin’s “Fishing in Reclusion Among Mountains and Streams” and Qiu Ying’s “Waiting for the Ferry on an Autumn River” of the Song dynasty. 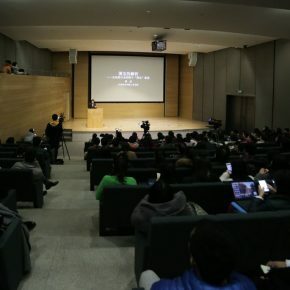 The main body of Chinese culture and the sources are in mainland China, and the amount of relics collected by the Palace Museum in Beijing is larger than the collections of the National Palace Museum in Taipei, but the selection and complete system of the National Palace Museum in Taipei is better than the Palace Museum in Beijing, from the perspective of reflecting the imperial collection of Qing dynasty and Emperor Qianlong’s taste, especially the richness and concentration of the early Chinese calligraphy and painting which is unique in the world. 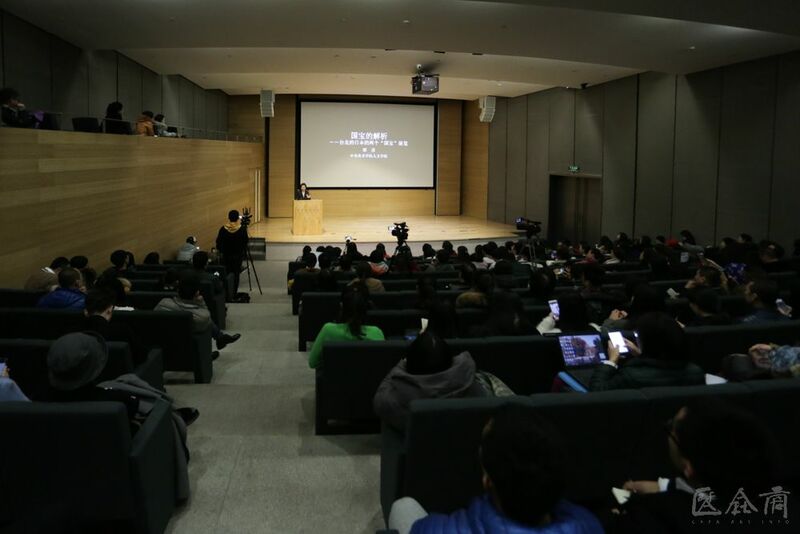 Shao Yan highlighted the important position of Emperor Huizong and Emperor Qianlong in the history of Chinese calligraphy and painting. 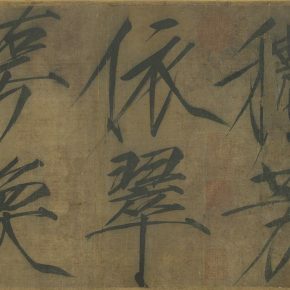 At the same time, she took the painting species and times as a sequence to respectively analyze the interest and identification of paintings and calligraphy. 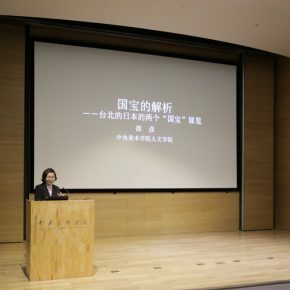 At the end of the lecture, Shao Yan introduced the exhibition of “National Treasure” in Kyoto National Museum in Japan, and the special exhibition commemorating the 120th anniversary of the museum, which featured a total of 210 pieces, including the collections from museums, monasteries, universities and private collections. It was divided into four phases, which were all complete. Kyoto displayed 6 pieces of Chinese calligraphy and painting, a rare book of the Song dynasty, 3 Buddhist paintings, 17 paintings of the Song and Yuan dynasties, 1 portrait, and a handful of Chinese artifacts of sculpture, metalwork, dyeing and weaving, and ceramic, including a Zen monk’s painting which was an important complement to traditional Chinese painting.